In this episode of DanceCast, Silva interviews India Harville, a dance artist and teacher in the Bay Area. India shares her journey to inclusive dance through yoga, body work, and her ongoing experience with temporary paralysis. 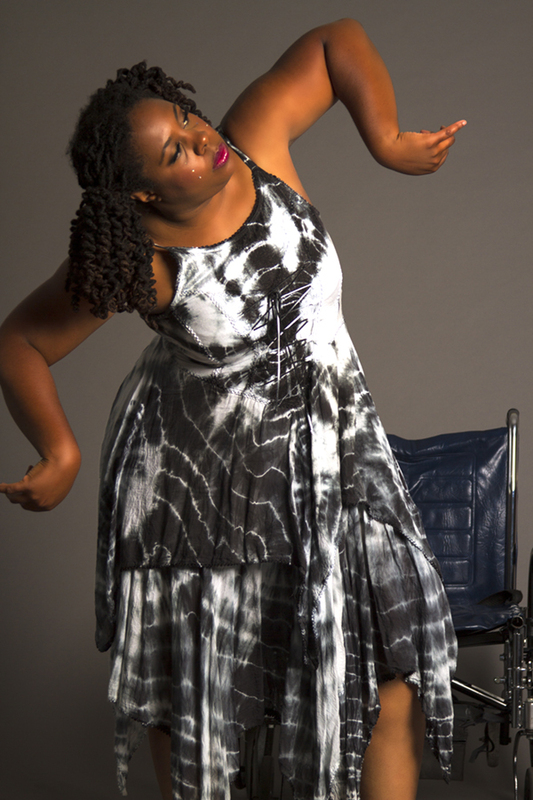 She also describes her recent one-woman show, Enough, which explored a recovery process for her recurring feelings of not feeling black enough, disabled enough, or able-bodied enough, as well as her future goal of making a video piece about dancers who cannot regularly and easily leave their homes. She discusses how to track progress and measure rigor when common assessments cannot apply to her. India Harville is an African American, femme queer, disabled, integrated dancer/dance instructor, choreographer, performance artist, somatic bodyworker, and social justice educator. The unifying thread in India’s work is facilitating people working with their bodies as a vehicle for personal and collective growth and transformation. India has studied several forms of dance including NIA, Zumba, KiVo, Dancing Freedom, and American Dance Wheels wheelchair ballroom dance. India is a DanceAbility instructor and one of only 25 people to complete the advanced certification in DanceAbility to become a master instructor. India has danced professionally with Liz Lerman’s Dance Exchange in Washington DC, DanceAbility in Eugene, Oregon, and is a company member in the Dance Sing Drum Company and Inclusive Interdisciplinary Ensemble at Cal State Hayward and Sins Invalid based in Berkeley, California. India’s performance work addresses racial justice, queer identity, survivor-hood, disability and chronic illness. To find out more about India’s work, please visit lovingtheskinyouarein.com.